It’s in the interest of purchasers – employers and health plans – to make sure that employees take prescription drugs as prescribed. Besides negotiating the best price you can with a Pharmacy Benefit Manager (PBM), what can you do to keep costs in check while ensuring quality care? Take a look at all prescription drug program communications and see how you can improve your employee engagement strategies to achieve your goals. Goal: Get doctors, other prescribers, and patients engaged in cost control at the time the prescription is written. Discussing prescription drug affordability isn’t currently a common practice. 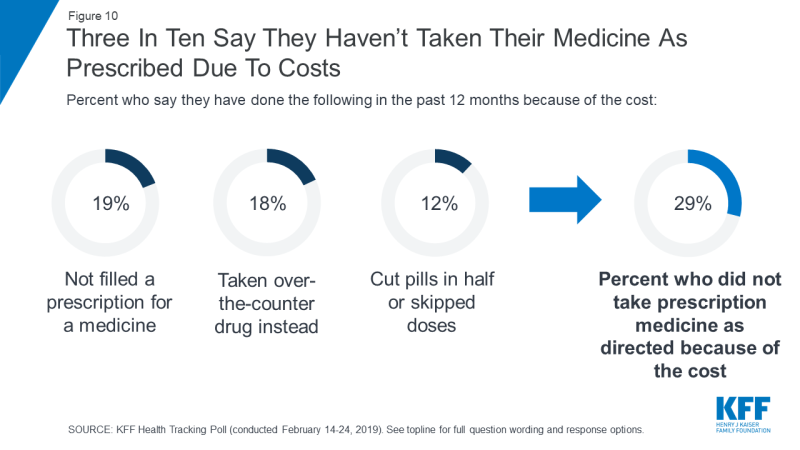 Many patients are uncomfortable talking about price with their physicians, even though affordability has a real impact on medication adherence and overall health. To facilitate these discussions, some PBMs provide patient-specific formulary details to physicians. Unfortunately, this is not yet widespread. That is why it’s up to the patient to have formulary details on hand to discuss a new prescription and less expensive alternatives. If your PBM offers an app, does it achieve your objectives? Ideally, if a patient is diagnosed with a particular disorder, the list of medications should highlight the most cost-effective options for treating this condition. Some PBM apps are clunky to use and don’t quickly show less expensive options without a lot of clicks, thereby defeating the purpose. Elicit staff and member feedback and work with the PBM to improve the app. Tip: Encourage members to download the PBM app and use it every time they visit a healthcare provider. If an app isn’t available, or it’s difficult to use, ask the PBM to offer an abbreviated drug list grouped by drug name as well as medical condition. Some PBMs and insurers post these lists on their websites. If they’re not available, ask your PBM to create, post and promote the list. Tip: Promote downloading the drug list to the patient’s phone, or printing it, and bringing it to all provider visits. If you’re planning to implement new prescription drug management programs to improve performance or address increased costs, don’t launch these without first setting the stage for the changes. These can fail if employees fail to embrace and adapt to the changes required, according to Prosci, a Colorado-based change management firm. At NEEBC’s Best Practices Conference in December, Sarah Emond, Executive Vice President of the Institute for Clinical and Economic Review (ICER) outlined the organization’s work to evaluate the clinical effectiveness and value of prescription drugs. CVS Caremark recently announced a value-based formulary that seeks to address high drug prices. Self-insured CVS Caremark clients can elect to exclude any new drug at a price greater than a set amount calculated by ICER’s scientific evaluation of effectiveness. In addition to helping guide price negotiations, the ICER data are also used by some payers to guide determinations on which drugs within a certain class of recently launched drugs are on the formulary and which are not covered. ICER’s research helps purchasers know what a fair price is for new medicine; getting that fair price can lead to better access for employees. If you’re putting in place this kind of program, educate your insureds in advance about the factors driving up prescription drug costs. Let them know that skyrocketing cost increases aren’t sustainable and cut into pay raises and other benefits. Explain what a value-based formulary is: promote the fact that value-based formularies give access to life-saving and quality-of-life treatments at affordable costs. Then, when you launch the new program, reinforce the messages outlined under the goal above. When I was at the Group Insurance Commission, we were facing skyrocketing prescription drug costs and knew we’d need to make some major benefit and program changes. To ease the transition, in collaboration with staff, I developed a series of communications. Three months before we announced the changes, I produced a lead article (distributed via multiple vehicles) that outlined why prescription drug costs were rising, what those increased costs might mean for members, and steps they could take to reduce out-of-pocket prescription drug costs. When we announced the changes, I can’t claim that no one complained, but there was grudging acceptance. If you have drug management programs—mandatory generics, step therapy, active maintenance drug pharmacy selection, quantity limits, prior authorization, wait periods—do employees know about them? Do they know how they work? What you don’t want is for your employees or members to get a run around and be confronted with unaffordable out-of-pocket charges because they weren’t aware of the programs. The backlash can be intense and you definitely want to avoid it. Use all of your communication channels (email, videos, social media, presentations, webinars, fairs, newsletters, and websites) to educate employees about drug management programs. Be sure the PBM app and drug list indicate which drugs are subject to a particular program. Don’t neglect communicating with family members. Occasional home mailings are helpful for looping in covered family members on important benefit information. Do you offer a high-deductible health plan? Consider which incentives you want to put in place for patients to choose lower cost drugs – especially after they’ve met their deductible. For example, one client I recently worked with implemented tiered copays exclusively for drugs after the family met their deductible. Communicate these money-saving options. Who doesn’t like to save money and time? Purchasers and patients generally save money when the patient uses the PBM’s mail order facility for 90-day prescriptions of maintenance medications. Let your employees know about the savings and convenience mail order provides. If you have a copay incentive, the savings are easy to illustrate. If you have a high deductible plan, provide estimated percentage or dollar savings. Bottom Line – Review your prescription drug communications to see how they can be improved to maximize program value. Then, get the word out: you and your employees win with better medication adherence and reduced costs. Cindy McGrath is a healthcare and HR marketing communications consultant who specializes in helping benefit consultants, brokers, HR administrators, and health plans market their business and enhance their client offerings. She specializes in crafting and implementing marketing communications strategies; making complex healthcare programs understandable; managing change; engaging employees and patients; and creating and delivering benefit presentations. Comments on "Maximize Prescription Drug Program Value Results Through Improved Employee Engagement Strategies"